When Mughal king Babur invaded India No one knew they are going to change the pages of history books, and they did not change by the sword, they changed it by creativity, they changed the look of India by invention, and India was never same again. The Mughal era gave Indian subcontinent not only some of the world's best architectural sites but also gave us some of the best food recipes. Mughals loved their architect and they loved their food and it is one of the reason we are enjoying some of the best dishes today. All the Mughlai or shahi dishes are the gifts of Mughal era. Mughals brought Persian, Arabian and Turkish recipes with Afghani influence and added Indian spices to make such an beautiful recipes. 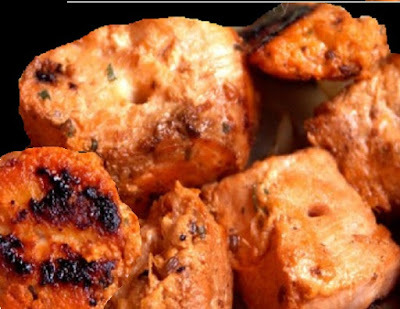 The recipe we are going to share today is called Mughlai Murgh Kebabs. It is one of the best Mughlai side dish, main ingredients used for this dish are Chicken and spices. They (Mughals) made their own recipes by mixing Iranian, Indian and Afghan recipes with Turkish touch and today you can taste any of their recipes and you will love it. Tell you truth my favorite is Murgh Musallam which was my first recipe when i started this blog, every time i cook Murgh Musallam its better then the last time and kids just love it, every two or three weeks they would say are we having Murgh Musallam today. 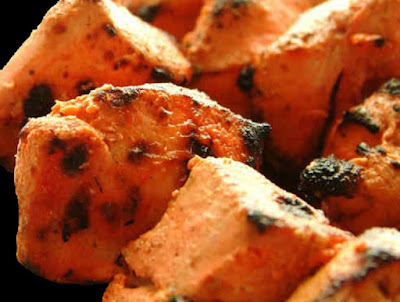 Mughlai Murgh Kebab is another Royal dish which you will love and will take you back in Mughal era with every bite you take. I have searched almost everywhere for the best Mughlai or Shahi recipes and some people have done extra ordinary work and have given us best Mughlai or Shahi recipes through their books or websites but believe me it is very hard to explain the taste till you try it yourself. If you like it please do use comment box below and do not forget to subscribe our site to get new recipes everyday, we don't just share the recipes from around the world, we dig the history for you to bring some of the best recipes for you and we bring the memories of ancient life into your kitchen. 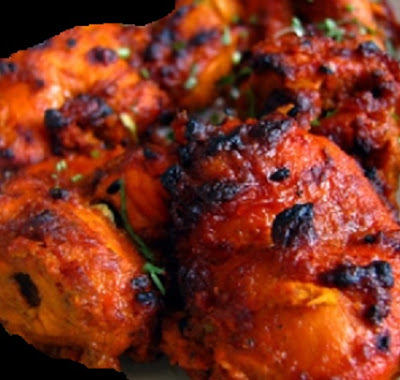 In a bowl add tandoori masala, lemon juice, ginger & garlic paste, garam masala, salt, yogurt and melted butter, mix everything well and add chicken pieces, marinate the chicken well by using your hands (washed), cover it and set aside (leave it overnight for best taste). Add 1tbsp water in a food processor, add almonds and cashew nuts and grind well. In a pan heat the butter, add onions and cook till transparent, add ginger & garlic paste, coriander powder, garam masala, salt and green chilies and cook for 3 minutes on medium flame, add nut paste, chicken stock and cook till it boils, add heavy cream and marinated chicken and cook till the paste thickens.